What are the necessary steps and how to do it????? According to my specs mentioned above kindly tell me what Add ons i need more...! Hey DieVersioN; Welcome to the AOA forum! First: I am in no way held responsible for any damage that happens to your computer if you screw something up OK. I don't have any money anyways as I'm pretty much poor. Btw, more info is still needed!!! Clean power is essential to getting a good OC!!! 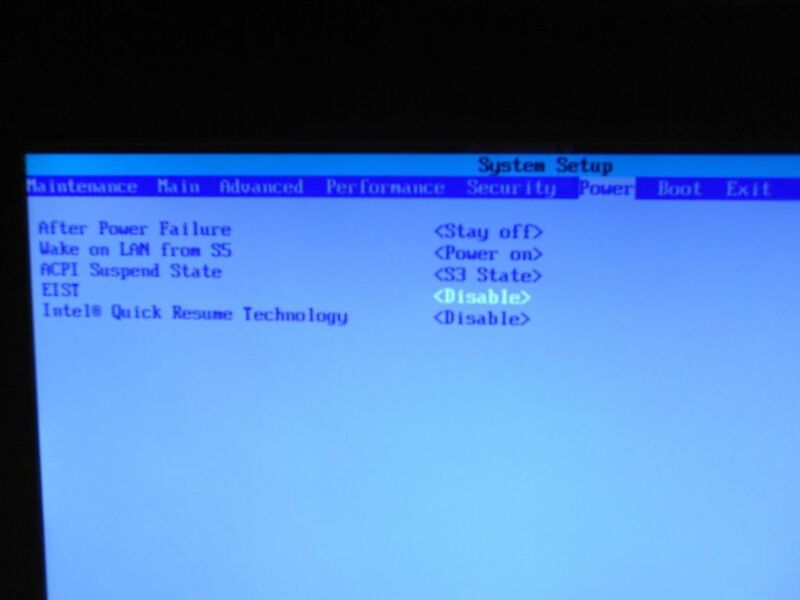 I recommend running bios version 2809 as I've had the best results with this version. 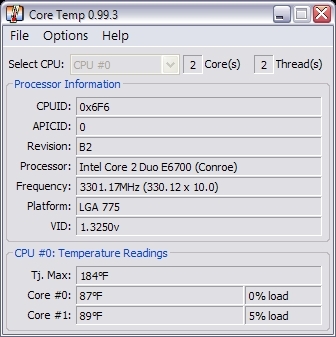 For a program to show you your OC let's go with CPU-Z as this will show your current CPU frequency & vcore. 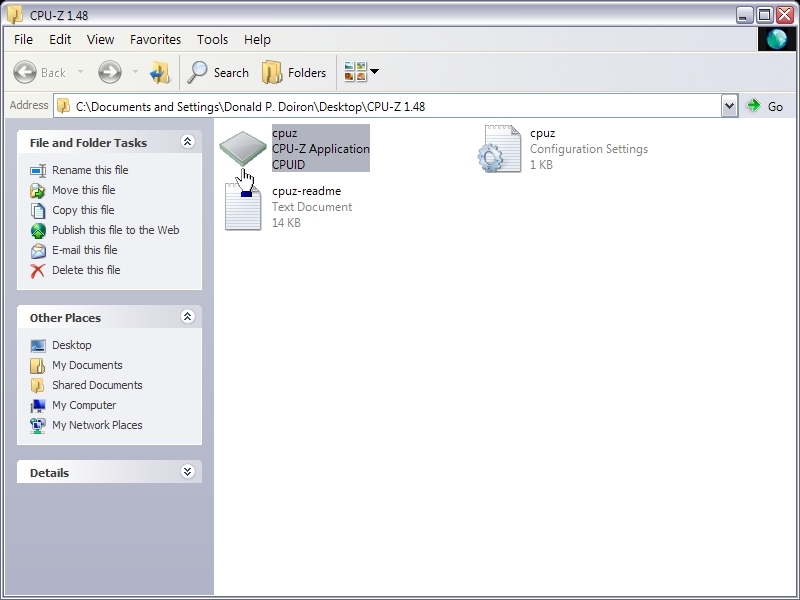 Download CPU-Z (click the underlined CPU-Z text) & extract it using either WinRAR or Winzip to a folder & it can be on your desktop to run, or anywhere for that matter. 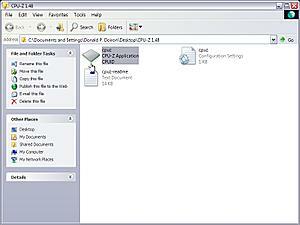 Click the Icon of the CPU in the folder & it will launch the program. Screenshots below. I use WinRAR to extract & compress file archives myself as it has a better compression ratio than WinZip does. 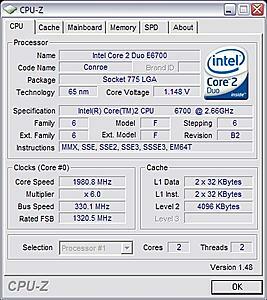 Now that you have CPU-Z you can see your CPU speeds & other information such as memory divider too. For temp readings go with Core Temp as we need to keep & eye on the core temps of the CPU when OCing! Screenshot below of what it looks like. The very first thing that needs to be done it disable Watchdog timer in the bios as this will screw up your OC settings. If you are not concerned with power savings, then also disable C1E & EIST. These settings are the throttling you see on the CPU going from x6 to x10. With these settings disabled it will always be at full speed at x10 mulitplier. 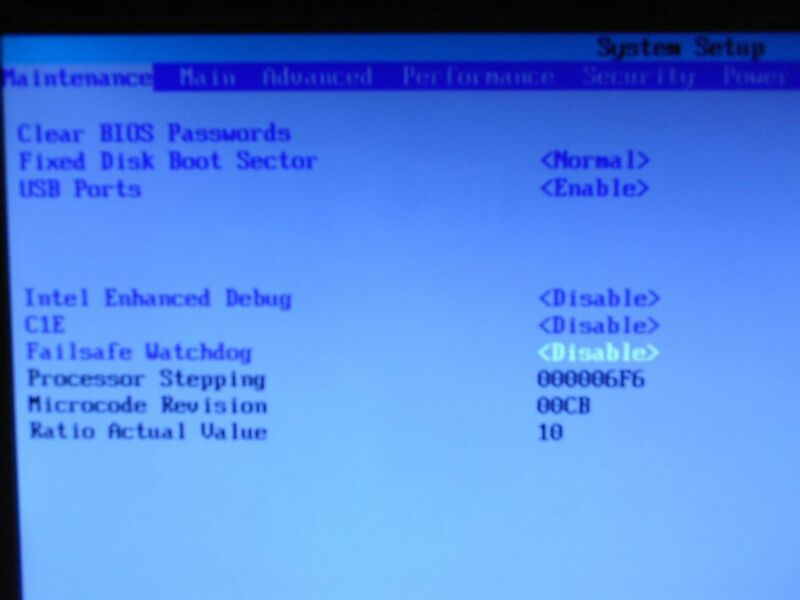 C1E & Failsafe Watchdog settings are in the Maint area of the bios which should be the first window that opens in the configuration jumper mode. 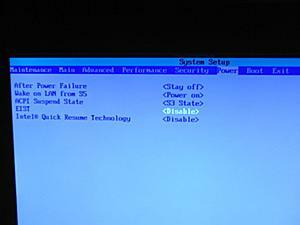 The other setting EIST is in the Power section of the bios. EIST = Enhance Intel Speedstep Technology. C1E is Enhanced Halt State. 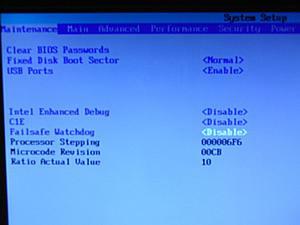 Once in the configure area of the bios change the setting from enable to disable. 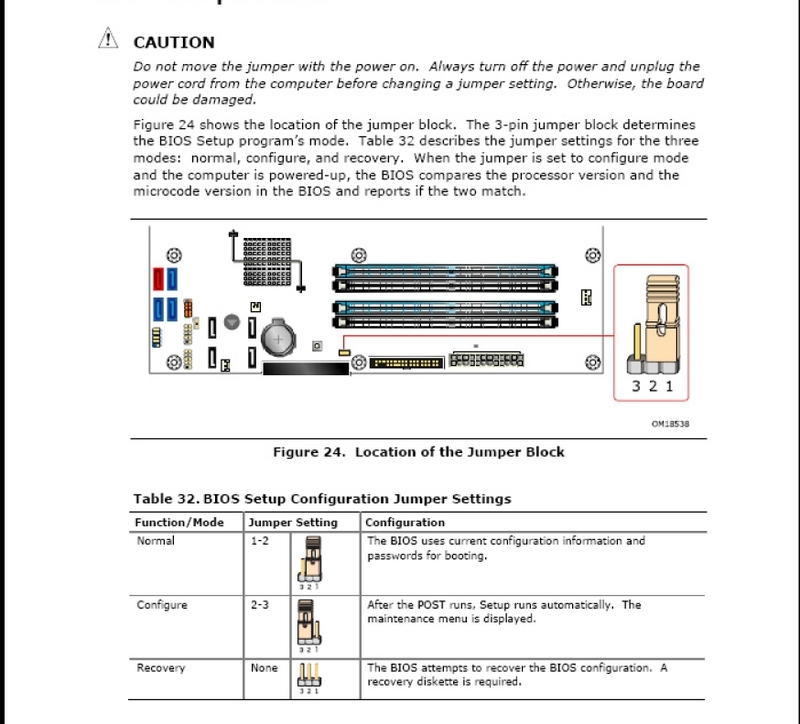 In the picture below is the location of the jumper & the default & configure positions of the jumper. Default are pins 2 & 3. Configure is 1 & 2 pins. You will need to move it to the Jumper position to access the configure area of the bios to be able to access this setting to disable it. Once this is disable move the jumper back to it's default position & reboot. Make Sure to turn the power off to the motherboard while doing this. 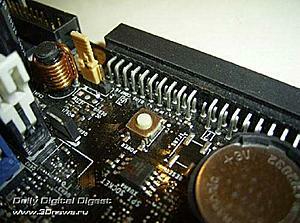 Unplug it if you have & make sure the green LED is out on the mobo to as this is very important while moving the jumper. Now, at this point if you are totally lost & scared about doing this stop right where you are until you understand more of what you are doing. Also, it is a Very Good Idea to get the Badaxe 2 Motherboard manual. 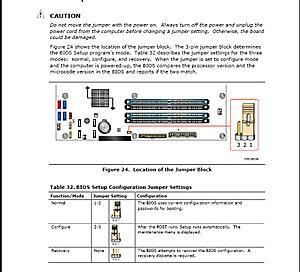 This is where I got the information on the jumperblock settings & placements. You can download that from Intel. 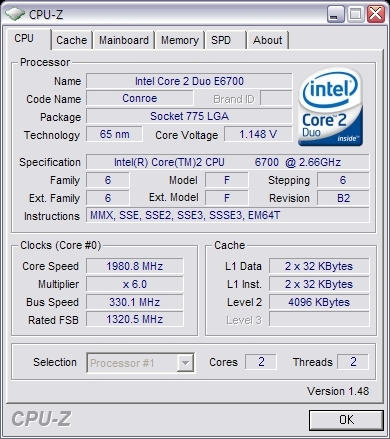 Just how much do you know about overclocking, or is this your first time ever overclocking? IF, this is your first time overclocking this may take awhile just to explain every step in detail as I go for you to do this correctly. But above is the first step you need to do. Sorry, but I can't explain anymore right now because I have a 200 Mile round trip I have to make to get my pain medications this morning & I got to go! So I'll get back to you when I get back in about 5-6 hours from now. Tell me what you've done so far & we'll go from there after I get back. Edit: I'm now back from my trip & ready to go on as soon as you've disabled Watchdog timer. I added another picture showing where this jumper is located. My hand mouse pointer is pointing to it OK.
Once you get this done we will start you off with a nice simple & safe OC of 3.0GHz up from 2.66GHz OK.
& I'll try to explain it a way that does make sense OK. There are no Stupid Questions, just Stupid Mistakes!!! Once again, welcome to the AOA forums DieVersioN! Last edited by MUff1N; 30th November, 2008 at 12:22 PM. Ok I'm not going to be much help with this, but Muffin has much experience As well as cliff if he steps in. 1. PSU. I do not think that PSU even if it is PC P&C (or similar in quality) is going to take you far or for long especially if you overclock. The first I would suggest (after getting all your component details) is a PSU that can handle the needs of you specs and the overclocking. 2. Cooling?? What cooling do you have, if stock, you will need to change that if you want to go far. if not stock, well we need to know details. As well as I hope you have plenty of case flow, and no dead spots. Hmm...looks like I might have scared DieVersioN off with my reply to his OCing post. Either that or the 300W PSU is now in PSU heaven (or hell depending on what it is), and DieVersioN can't get online. Yea, I was kinda thinking along those lines too, that his system is dead & the PSU died on him. Hey DieVersioN, where are you!!! Last edited by MUff1N; 3rd December, 2008 at 05:48 PM. Best of luck to him or her!